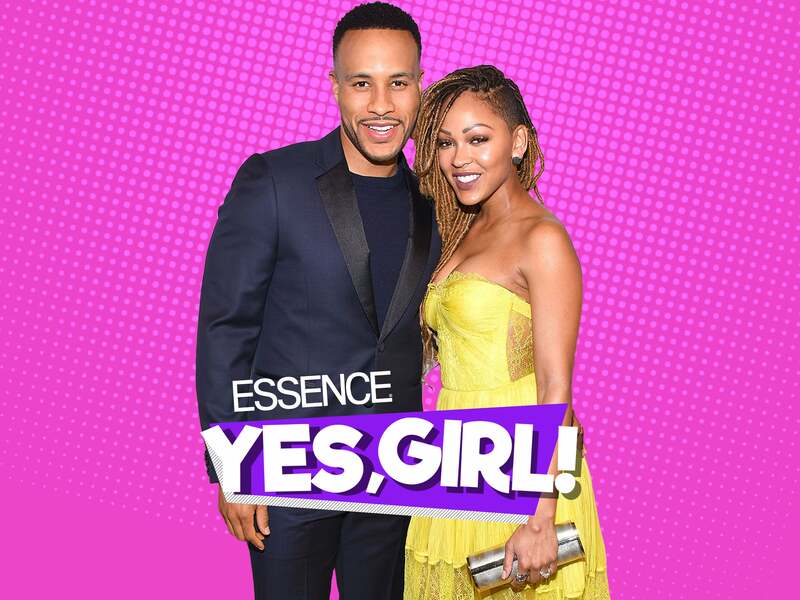 DeVon Franklin and Meagan Good continue to be a shining example of Black love at it’s finest and to lead by example when it comes to making their marriage work. On this week’s ESSENCE “Yes, Girl” Podcast, the Christian couple and co-authors of New York Times bestseller The Wait: A Powerful Practice for Finding the Love of Your Life and the Life You Love, sat down with hosts Cori Murray, Yolanda Sangweni and Charli Penn to speak candidly about the inner-workings of their love, why their faith is their foundation and why they work. While DeVon doesn’t claim to be the perfect husband, he does admit to striving to be the best one he can be daily. Part of their secret, they said, is that when they’re down, they don’t dwell on the negative, and five years into their marriage it’s apparent that this strategy is working. DeVon, who is often praised by his fans on social media for being a stellar husband to Meagan, explains how he credits the tribe of women in his life with helping to prepare him for the role. “I was raised by my mother primarily, my father died when I was really young and my grandmother, my mother’s mother, had seven sisters so we were raised–me, my older brother and my younger brother–by all of them,” he shared. “It was hearing about what was going on in their lives [and] in their marriages, and what wasn’t right and what could’ve been right, and then seeing some of the men and seeing how they treated them. [It was] early on, really seeing the impact of [what happens] when you take it seriously and when you don’t. Witnessing the good days and bad days these women faced forced DeVon to prepare himself for the role of one day becoming a husband who understands that things won’t be simple, but they can be good and they can be healthy. DeVon believes that you cannot be successful at marriage without giving some of yourself. To hear more from DeVon and Meagan had to say about what marriage has taught her, and how they pray for and with each other, subscribe (for free) and listen to the full episode above.